Nissan Group of India strengthened its presence in Rajasthan today with the inauguration of BHASKAR Nissan, its new retail outlet at Jaipur road, Sikar. 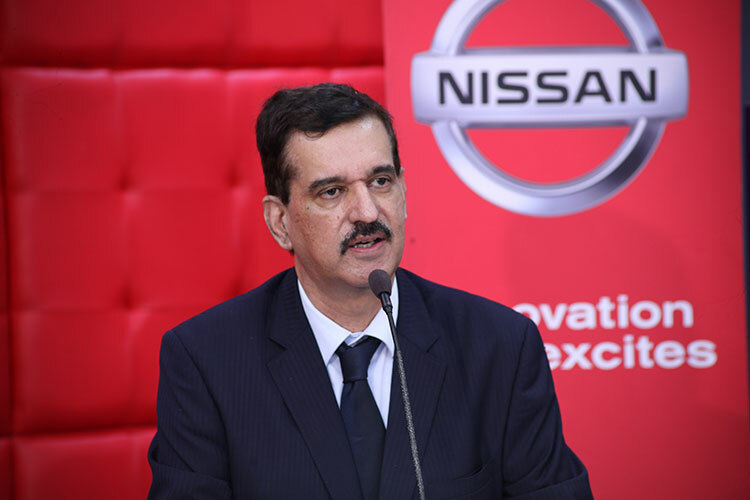 The dealership was inaugurated by Arun Malhotra, Managing Director – Nissan Motor India Private Limited. Nissan now has a network of 205 sales touch-points, spanning across 148 cities for both Nissan and Datsun vehicles. Establishing an extensive, quality-focused retail network is central to Nissan’s long-term growth in India and the company has a commitment to operate 300 sales and service touch points by the end of the 2016 financial year. In the last two months, Nissan opened showrooms in Trichy, Tirupati, Kashmir, Nasik & Mumbai. Very recently, Nissan has also agreed to a major eight-year deal with the International Cricket Council (ICC). The agreement, which runs through 2023, confirms Nissan as a global sponsor of cricket’s international tournaments, including the ICC Cricket World Cup, ICC Champions Trophy and ICC World Twenty20, as well as Under 19 and Women’s Cricket and qualifying events. I am delighted to inaugurate BHASKAR Nissan’s new dealership at Sikar. Together with our dealer partner, we seek to provide our customers with best-in-class products and services, and look forward to a long-standing, successful association. Nissan’s strategy for continued and significant growth in India is underpinned by our commitment to providing customers with a superior ownership experience. This is backed by our continuous expansion of dealership outlets nationwide and our target of setting up 300 dealerships across the country by the end of fiscal year 2016.
, added Mr. Arun Malhotra. We at BHASKAR Nissan are proud to be associated with such a successful global brand. As an authorised dealer of Nissan in Sikar, BHASKAR Nissan will provide excellent sales & after sales service to the existing and prospective customers in the region. With this combination, we plan to enhance our customer service and provide an outstanding ownership experience for our customers.